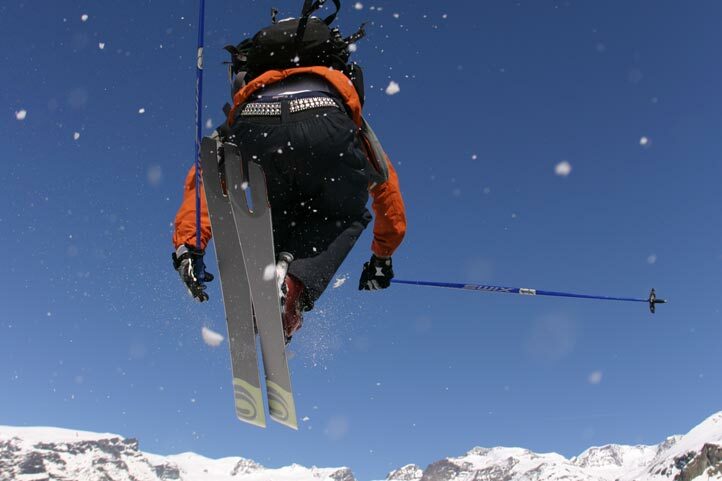 For considerable time, Brusson has been a famous cross-country skiing resort and hosts some top level international competitions. 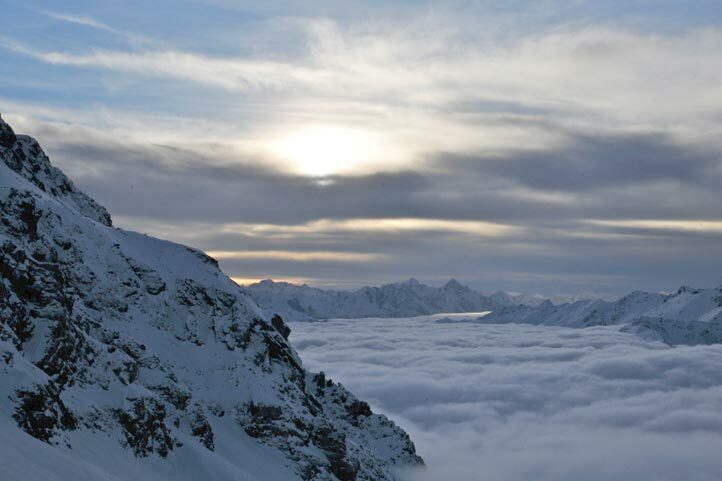 The Monterosa Ski area connects three alpine valleys into one great ski area at the foot of the Monte Rosa massif, between the Aosta Valley and Piemonte.It has long been the destination for the more demanding skier due to the well prepared pistes and the excellent lift system. 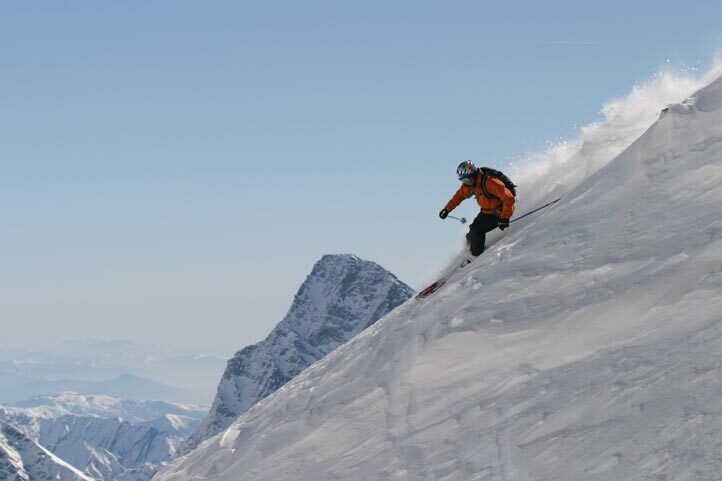 It is ideal for families due to the easy pistes, ideal for children and beginners. 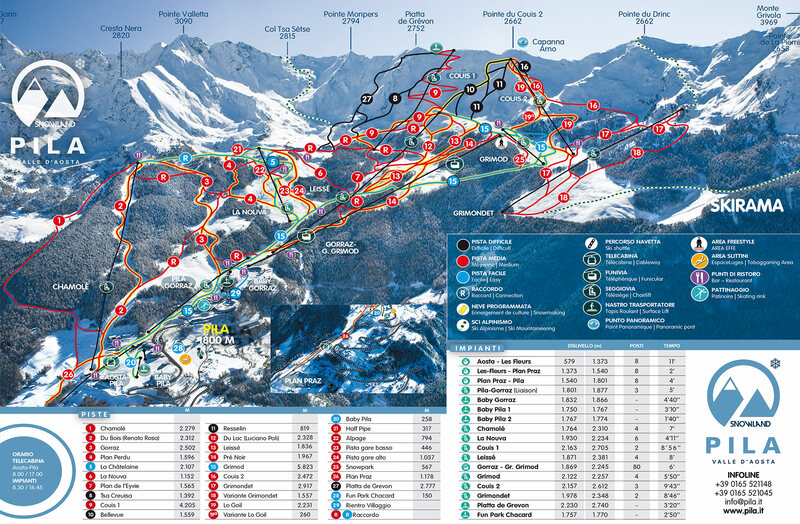 Monterosa Ski has been reducing its lifts which has given excellent results: from 42 to 35 ( plus 3 conveyor belt lifts), without detracting from the vast ski area and the variety of pistes it is famous for. 180 km of piste connect the valleys with 400 snow cannons covering 170 km of piste, so ensuring skiing even in periods of low snow fall. For considerable time, Brusson has been a famous cross-country skiing resort and hosts some top level international competitions. The cross-country pistes unfold along the course of the river Evançon from Arcesaz to Extrepieraz, crossing the sunny plain of Vollon. The downhill pistes are at an altitude of over 1.700 m. in Estoul, which enjoys an outstanding exposure to the sun and breathtaking views. Located in the centre of the Evançon Valley, Brusson is made up of many small districts dotted throughout this captivating alpine region. Some of the resorts have maintained their traditional alpine character with old and well-preserved constructions, which still bear the hallmarks of yesterday’s crafts. The events organized by the local tourist office dedicated to the old crafts, tools and customs are very popular. From anywhere in Italy: Turin-Aosta A5 motorway as far as Verres exit, then regional highway 45 to Ayas Valley. From France: through Mont Blanc tunnel, continue on Turin-Aosta A5 motorway as far as Verres exit, then regional highway 45 to Ayas Valley. From Switzerland: through Grand San Bernard tunnel in the direction of Aosta, then continue on Turin-Aosta A5 motorway as far as Verres exit, then regional highway 45 to Ayas Valley. Along regional highway 45 after the first turns that lead from Verres to the mountain slopes, you will come to the towns of Challand-Saint-Victor and Challand-Saint-Anselme. 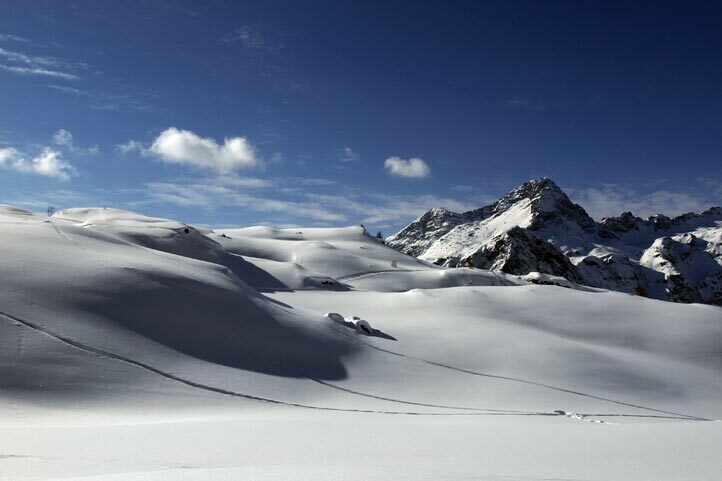 You will then get to the centre of Brusson, the first skiing resort. After the village of Extrepieraz lies the town of Ayas. From the turn-off for Corbet you can choose whether to go off on the panoramic road that crosses the villages of Lignod and Antagnod and then down to Champoluc or to continue on the road that leads directly to Champoluc and beyond with the amazing backdrop of the Monte Rosa chain.